Welcome to the official website of one of Western Pennsylvania’s top municipalities. Brentwood Borough is proud of its architectural charm and classic Main Street feel, but we are also a community that embraces innovation. By taking advantage of new technological products and modern management practices, Brentwood has been able to improve its already outstanding customer service and to streamline service delivery. Consequently, we have been able to avoid costly tax increases and have retained an extremely affordable cost-of-living. The innovative nature of our government and our pro-commerce outlook has made our community exceedingly attractive to businesses and has resulted in the completion of multiple redevelopment projects in our high traffic corridors. 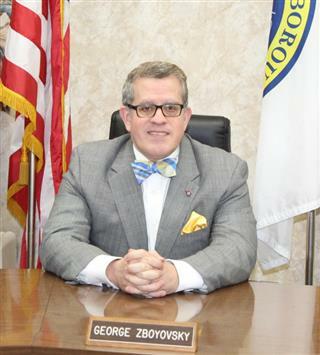 Although many towns have devised elaborate plans for future improvements, Brentwood Borough is committed to addressing its priorities in the near term. Through strategic planning sessions with Council and open workshops with the public, we have worked to make sure that our projects are the result of a collaborative effort. Recent accomplishments have included the institution of several new ordinances that will allow us to combat absentee landlords and deferred property maintenance, the implementation of a new zoning code that wholly replaces its antiquated predecessor, and the completion of several critical sewer infrastructural projects. Brentwood also plans to embark on several ambitious new proposals, including the commencement of our much anticipated park enhancement initiative, that will further improve resident quality-of-life and that will solidify our Borough’s standing as the gem of the South Hills. In Brentwood Borough, our workforce has demonstrated its dedication to the public time and time again. Our staff goes the extra mile to provide timely responses to resident concerns. Additionally, our employees have shown a commitment to the values of accountability and transparency. As a result, our government has been able to make more economical administrative and spending decisions while concurrently improving community access to information. While a community contains many tangible items, such as buildings, roadways, sidewalks, sewer lines, it is most importantly a patchwork of neighbors. The people of this town, with their friendly and civically-minded outlook, are what make our municipality a great place in which to live. We welcome you to become a part of our Borough as we enter a period of great growth and progress.